Danish actor. He received his education at Statens Teaterskole in Copenhagen in 1993, and his breakthrough in Danish film came with the 1994 hit Nattevagten (Nightwatch). He played Detective John Amsterdam on the Fox television series New Amsterdam. He also appeared as Frank Pike in the 2009 Fox television film Virtuality, which was originally intended as a pilot. 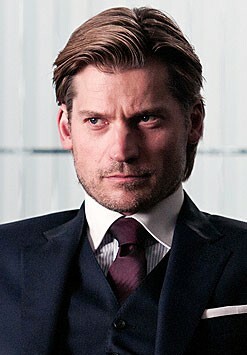 Since April 2011, he has starred as Ser Jaime Lannister in the HBO series Game of Thrones.